EduCare invites parents to visit whenever possible. We advocate an "open door" policy. Feel free to drop in, unannounced, at any time and see the great things that are happening at EduCare. Do children get a naptime? A nap period is provided for all toddlers and preschooler children after lunch. The nap period will not exceed two hours. A mat will be supplied for your preschool child and a cot for your toddler by EduCare. pillow and sleeping toy, if needed (stuffed animal, doll, etc.). Please be advised that all napping items must be labeled with your child’s name and be able to fit into their cubby. All napping items are required to go home at the end of each week for laundering. What meals does EduCare provide? At EduCare, ALL MEALS ARE INCLUDED at no additional charge! Full, nutritious and YUMMY hot breakfasts and lunches, as well as afternoon snacks are provided as part of your regular tuition. That takes the stress out of your morning! EduCare partcipates in the USDA Food Program. We will provide a nutritious breakfast and afternoon snack. EduCare will also provide a well-balanced, nutritious meal at lunch. Meals are prepared to meet the dietary needs of preschool children. A weekly menu is posted on the Parent’s Information wall. 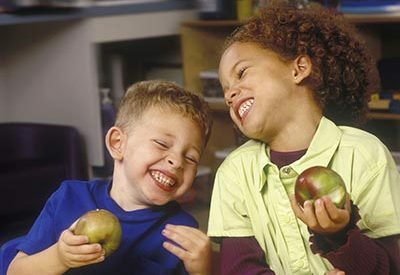 Lunch will always include a protein, starch, fruit and dairy from the USDA food program. Milk will always be served to the children twice daily. Breakfast must be completed by 9:00a.m. What if my child is toilet training? All classrooms at EduCare have self-contained toilets and sinks. In order to maintain the hygiene and safety of every child, EduCare requires all preschool classroom restroom doors to remain open. Each teacher uses discretionary procedures to ensure privacy for each child toileting. Toilet training children need to have four changes of easy to pull up and down clothes. This includes underwear, and socks as liquid tends to go with gravity. It is also a good idea to have a spare pair of sneakers in the cubby for the same reason. Belts, zipper and button are discouraged for potty training children. These things can wait until they get a good grasp on using the potty. Children who are potty trained need one change of clothes in their cubby in case of food spills or other emergencies. All clothing should be labeled on the inside fabric of tops and bottoms and in the toe for socks. Preschool children’s clothes need to be in a zip-lock bag sealed and labeled in their cubby. If your child becomes ill at EduCare we will notify you immediately to pick up your child. If you are not able to be reached we will contact the people on your emergency contact list until someone is notified to pick up your child. Every effort will be made to isolate your child until you or someone authorized by you arrives to pick up your child. It is essential that you pick up your child in a timely manner for his/her sake, as well as that of the other children and our staff. How does EduCare deal with discipline issues? As all children are unique and individual, our program includes a 30 day probationary period for all new enrollees. If the design of our program does not meet the behavioral needs of a child the Director will conference with the parent to discuss concerns. Working together, a plan will be devised or the removal of the child will be requested. At EduCare, the use of physical punishment is never permitted. Behavior that is disruptive, dangerous, or damaging to the child or others shall be handled with constructive methods of discipline. Redirection of the troubled child is used in a first attempt at solving conflicts. The “time out” method of discipline is used as a last resort. This allows the child to assess the type of behavior he/she displayed. Children are permitted to rejoin group activities after a reasonable amount of time. One minute for each year of age is the practice at EduCare. If a child continues to be unresponsive to all effects involving inappropriate behavior, a parent conference will be requested. Parents may be asked to take the child home for the remainder of the day. If the child is a continuous behavior problem, the parent will be asked to withdraw the child. Who can drop off or pick up my child? Parents are required to sign each child in upon arrival and sign out each child when departing. All children must be escorted in and out of the building by an adult. Children will not be released to anyone who is not named on their enrollment form and will be asked to answer questions which correlate to the information they have supplied to us on their EduCare Parent Information sheet . All persons unfamiliar to us will be required to show photo identification. Enrolling at EduCare is easy! You can download, print and complete the enrollment package then stop by to enroll. Or you can complete an enrollment package at our facility. Is EduCare a licensed facility? EduCare is licensed with the Department of Children & Families (DCF). Inspections are conducted periodically and randomly and are a matter of public record. How are the teachers and staff qualified to care for my children? Our teachers are thoroughly screened before joining our staff and have fulfilled the minimum education requirements of the Department of Children & Families. 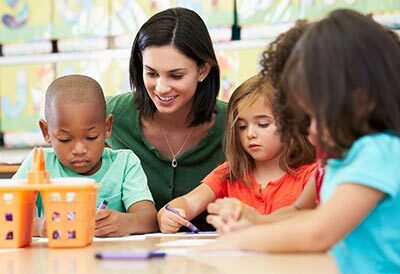 In addition, we have teachers holding the FCCPC (Florida Child Care Professional Credential) or a CDA (Child Development Associate) Degree or in processing of obtaining the FCCPC/CDA within each classroom. Education is highly valued for our teachers, and several of our teachers have their Associates, Bachelors and Masters degrees also. We have two Directors and one holds an R.N. Nursing Degree as well as the Director’s Credential for the State of Florida. The teachers and the staff are energetic, positive and loving as we strive to provide the best role models for all EduCare children. What age children does EduCare accept? EduCare provides care and instruction to children newborn of age through 5 years old. We also offer after school care for children through 12 years old.